Is your Internship jobs search getting too long? Click. Click. Congratulations, you have sent out the supposed 999th application! 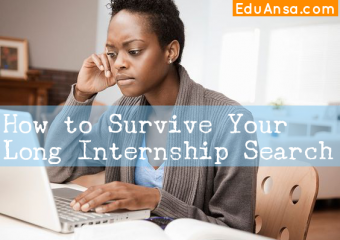 Your Internship jobs search can be long as hell. Especially if you know exactly what you want from your Industrial experience and not just any kind of internship jobs. In these challenging times, to get yourself frustrated, is easy. But first of all, make frustration pretty little fun, and secondly, don’t relent on your application. It’s important to stay positive and not succumb to stress or negativity. Easier said than done! The more positive and confident you are, the better your chances of getting that intern job. But what techniques can help you stay positive? Here’s a few tips on how not to lose your motivation completely. Smiling is quick, easy, and free! When you smile your body releases feel-good hormones, lowers your blood pressure and reduces stress hormones. It doesn’t matter whether you feel like smiling or not; the brain believes you’re feeling good when you smile. Even better if you can laugh. Smiling helps you feel calm and in control. Take a break. You can feel rested just by doing something different, something you enjoy. Taking a rest from work-related activities and spending time on hobbies or sport will counterbalance stress. We all need sleep for energy, good concentration and general health. Sleep-deprivation can be a key factor in raising stress levels. Situations like interviews release adrenalin into your body. Worry increases adrenalin too. Too much will make you stressed, tired and low. The only way to get rid of this adrenalin is exercise. It also improves blood-flow to the brain, helping you think more clearly. Exercise also releases endorphins, the body’s natural feel-good hormones. Plus it’s great for your general health and there is also evidence that fit people are better able to handle the long-term effects of stress. Too much ‘junk’ food makes you feel sluggish and tired. Stimulants like caffeine and sugar and depressants like alcohol and nicotine will affect your blood sugar levels and may give you mood swings. A balanced diet will provide all the nutrients your body needs to function at its optimum level. This is essential for dealing with stressful situations. The old adage that a trouble shared is a trouble halved really works for stress. A support network of friends, family and other people can help with the strain; whether it’s practical help or a sympathetic ear, let the people who care about you help when you feel down. Make sure you get and give your fair share of hugs; it has been proven to help reduce the stress hormone, cortisone. Changing the way you think is not as difficult as you think. Be aware of your negative thoughts and change them; be objective and rational about them. For example, if you are nervous about an interview or an aptitude test, tell yourself it’s natural to feel nervous and the energy can be used to help you shine. If it feels odd, imagine you are talking to a friend; it’s usually easier to generate positive thoughts for a friend than it is for ourselves. Imagine a positive outcome. It does take practice, but if you can do this you’ll reduce negative tension and project a positive impression. And that will increase your chances of success – which will really make you feel positive!